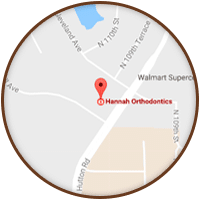 Hannah Orthodontics specializes in “Orthodontics and Dentofacial Orthopedics.” While most people have heard of orthodontics, many are confused by the “dentofacial orthopedics” part of the title. 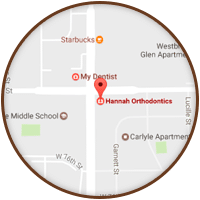 Essentially, while orthodontics entails the management of tooth movement, dentofacial orthopedics involves the guidance of facial growth and development, which occurs largely during childhood. 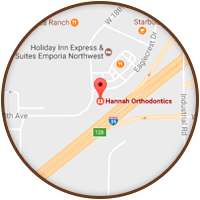 In both cases, appliances are frequently used – the more familiar braces for orthodontics, and other specialized appliances like headgear and expanders depending on what facial abnormalities are present. Sometimes orthopedic treatment may precede conventional braces, but often the two are accomplished at the same time. 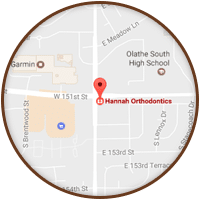 If your child gets braces and headgear, he’s undergoing orthodontics and dentofacial orthopedics! 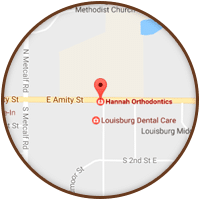 Because of our skills in both areas, we are able to diagnose any misalignments in the teeth and jaw as well as the facial structure, and devise treatment plans integrating both orthodontic and dentofacial orthopedic treatments.